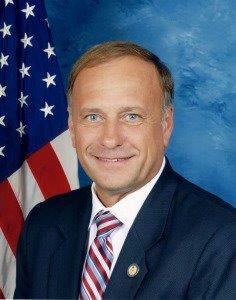 Iowa Congressman Steve King is condemning the brutal weekend slaughter of more than 20 Coptic Christians in Libya and he says the mass killing should serve as a call to action for America. King, a Republican from Kiron, says the murders of the Egyptian citizens by members of the Islamic State were videotaped and put online for the world to see. “They were in Libya, looking for opportunities to work and make some money. The economy in Egypt has been bad,” King says. “They were captured by ISIS. The 21 of them were marched down along the shoreline there of the sea and simultaneously beheaded and beheaded because they’re Christians.” King says it’s yet another in a long line of vile, public acts of violence by the radical religious sect. “It is a tragedy that took place in Libya, the Coptics who were beheaded,” King says. “Their religious leader is the Coptic pope in Cairo whom I have met with and have spent significant time with him and learning the pressures that have been on them.” In recent years, Coptic Christians in Egypt have been vilified, with more than 100 of their churches burned and in one instance, a Coptic wedding was attacked and 50 people were killed, including the bride and groom. King says he and a congressional delegation will travel to Cairo on March 9th to meet with Egyptian officials about ways to stop terrorism by groups like ISIS. The congressman made his comments during a stop in Webster City on Monday.